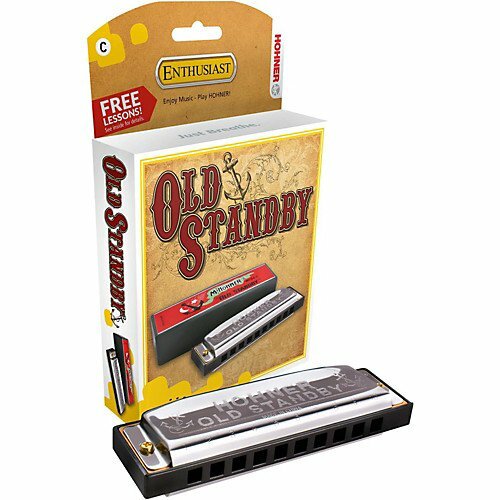 The Old Standby lives up to its name, with solid Hohner construction to keep it by your side for years to come. Perfect for new players to veteran bluesmen alike, this harp is 4 inches long, with 10 holes and 20 plastic reeds (like most diatonics). The plated cover features the classic Old Standby anchor graphic.